Having greatly enjoyed the previous few years of beer advent calendars, I went searching for one that was a little outside the box (pardon the pun) this year. 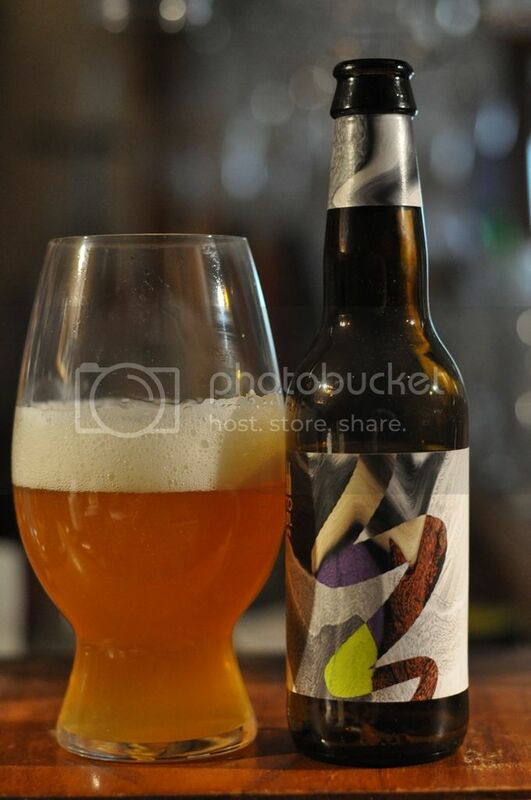 I ended up settling on the To Ølekalender from Danish brewers To Øl. 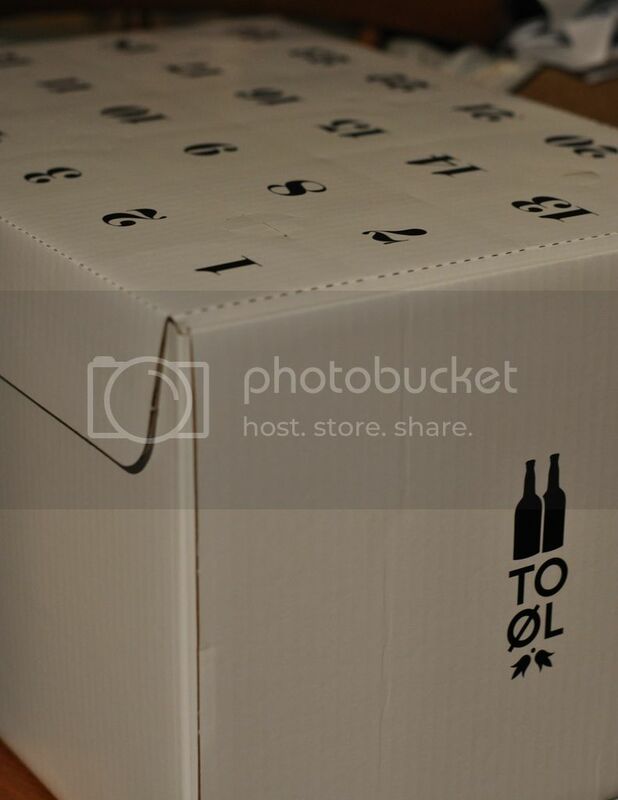 We get a wide variety of To Øl beers here in Australia, of which I've had the pleasure of sampling about 20, however I'm confident there will be a number in this box that I haven't had before (Untappd's latest count is 262 beer produced by To Øl!). I don't speak Danish, but I think it's fair to say that To Ølekalender is a play on To Øl (which I know means two beers) and calendar. Like in previous years I hope to get a post up roughly every five days, so you can follow along my progress. If you're here I'm guessing you've already read Part 1, link here if you haven't, so let's get into the next 5 beers! Day 6 - Raid Beer - The 6th beer out of the To Ølekalender sounded quite interesting. Raid Beer is billed as a hoppy Pilsner, with Amarillo, Citra, Nelson Sauvin and Simcoe hops all playing their part. It's another beer I haven't had before and it's one that I'm really interested to try! My immediate impression of this beer was that it's not a Pilsner. The malt base had a bit too much caramel, and was even a little bit too thick, to be called a Pilsner. The hops provided great bitterness, with grapefruit and pine the most prominent flavours. I really quite liked the beer, although just because you want it to be a Pilsner - that doesn't make it one. In my mind this is close to the definition of India Pale Lager. Day 7 - Santa's Hibernation - Santa's Hibernation is an American Pale Wheat Ale produced by To Øl exclusively for a French craft beer website (saveur-biere.com). Obviously they've held a few back for their own advent calendar, something I'm very thankful for as I love the style when done well. Thankfully Santa's Hibernation was one a well made example of the style. The wheat was prominent, although balanced out with regular pale malts making it not too banana-ey. The hops aren't overly bitter, but they provide nice fruit and citrus flavours with passionfruit, mango and grapefruit the most apparent. It's a very easy drinking beer which I'd recommend if you can get your hands on it. 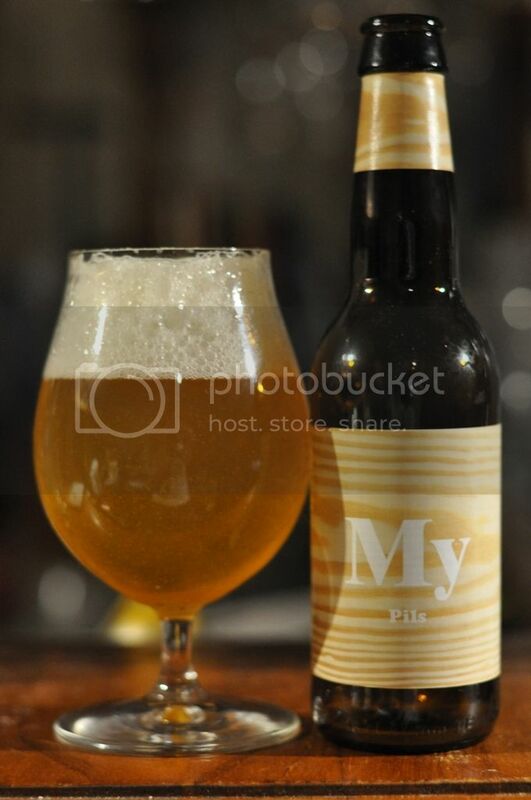 Day 8 - My Pils - After my last experience with a To Øl Pilsner, I was a little hesitant about what this beer would offer. My mind was put at ease somewhat by the rear label, which mentioned the use of Tettnanger hops (a German noble variety) as well as a handful of different American hop varieties. This was far closer to being a traditional Pilsner, with a more typical light Pilsner malt base and grassy hops. 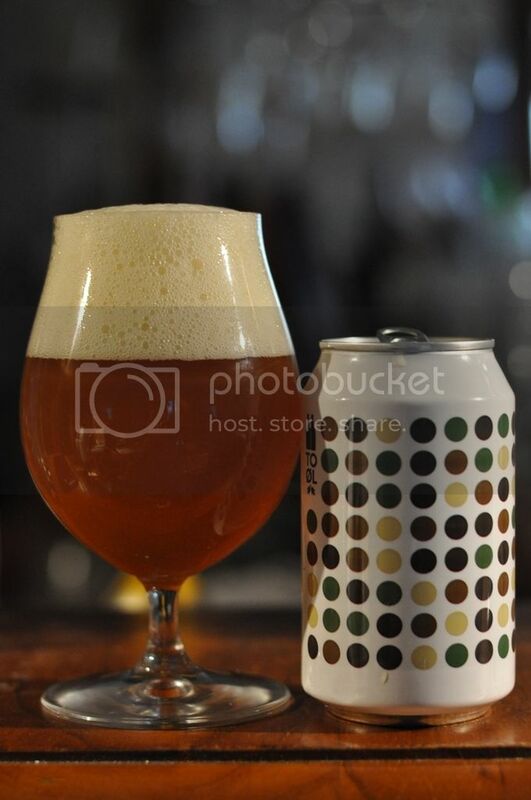 Naturally, being a To Øl beer, it's more heavily hopped than many conventional examples and this comes through in the form of some citrus and passionfruit. It finished dry and clean and left me wanting more! I would definitely seek this one out again. 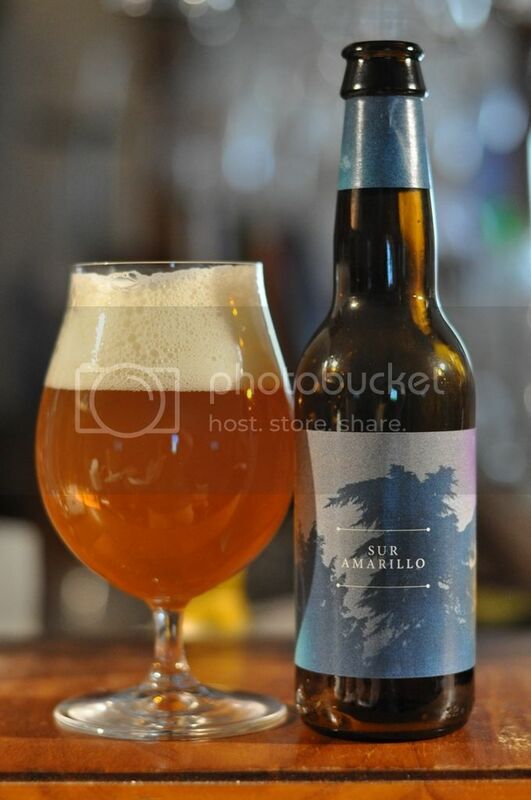 Day 9 - Sur Amarillo - When I pulled this beer out of the pack on Day 9 I was thrilled. I have loved all of the beers that I've had from this "Sur" series before, although have found most to be lacking in hops/having dull hop flavours, probably due to the time it takes for these beers to get here. Day 10 - Black Ball - This beer came out in the midst of a tasting session Dylan and I were having. 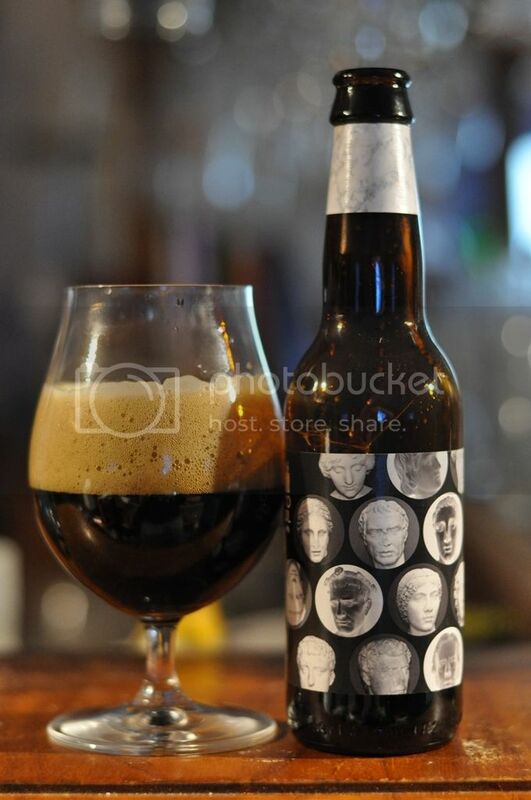 It was billed as a "Potent Porter" which, in typical To Øl fashion, has been heavily hopped. It's been quite a while since I've had a good Porter so I was really looking forward to this. Black Ball was a lovely Porter. It was massively roast driven, with some chocolate also present, while heaps of hops provided good bitterness but little flavour that could make itself known over the roast and chocolate. As the beer warmed there was a nice smack of licorice, that was more present on the nose than to taste. This beer was exactly what I want from a Porter, all the flavours of a Stout, just with a thinner body that promotes ease of drinking. Amazingly; I believe I've managed to keep a self imposed deadline! Almost as amazing is that I'd had none of these five beers previously, after only having had one of the first five. I'm looking forward to (hopefully) seeing a couple more of their sours pop up over the next few days and maybe an IPA or two. Stay tuned over the next week or so - I've got a few posts which are 90% completed - while the next installment of this should be up at the weekend.